Photo courtesy of Drowned in Sound. Baltimore-based synth-rock group Future Islands are bringing their electric live show to The Anthem on the North American leg of their tour on Friday, September 28. Future Islands launched themselves into prominence in 2014 with a primal (and viral) performance of “Seasons (Waiting On You)” in which lead man Samuel Herring growled, shimmied and roared on The Late Show with David Letterman. Since that iconic performance, Future Islands have garnered a reputation for shocking audiences that come unprepared for an emotional experience. With a discography spanning five albums since 2008, Future Islands established themselves as one of indie rock’s steadiest acts by tightening the production and songwriting on each of their albums while staying true to their soulful, groove-heavy sound. Even on blurrier, dreamier albums like 2011’s “On the Water,” songs like “Balance” showcased the band’s ability to pair massive hooks with dance floor beats. Don’t mistake “The Far Field,” the band’s newest album, for surface level dance pop, though. The emotion from “The Far Field” often comes from grief, longing, and sorrow. Lyrics on “Through the Roses” like “It’s not easy, just being human / And the lights and the smoke and the screens / Don’t make it better” speak to the disconnect between the joy Future Islands exhibit on stage and the familiar weariness of day-to-day life. Other songs, like the excellent opener “Aladdin,” tell stories evocatively rather than literally. That song is also a great example of how a decade of gentle refinement has led the band to arrange their songs around Herring’s crooning. Built around a gentle bass line and a light synth melody, “Aladdin” is a masterclass in playing to your strengths. In this case, it’s Herring’s intense vocal performance. It’s not just Herring’s vocals that are intense, either. Just like the name-making Letterman performance, Herring is an emotive singer. He’ll beat his chest, drop to his knees, and wave his arms like he’s pleading his case. Be sure to limber up before the show, because while you may not want to bang your fist on the ground along with Herring, you won’t be able to resist dancing along. 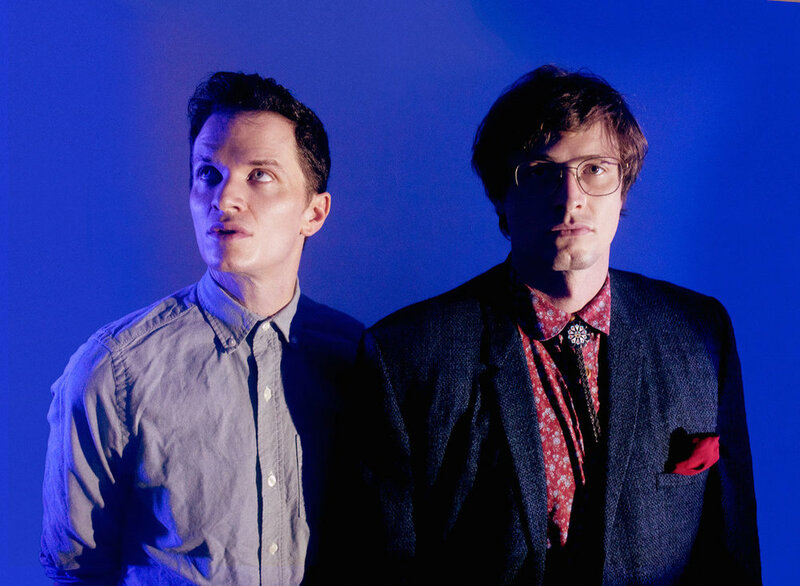 Future Islands are joined on tour by another Baltimore-based act, genre-pushing post-punk duo Ed Schrader’s Music Beat. The duo teamed up with acclaimed electronic producer Dan Deacon for their newest album, 2018’s “Riddles,” and Music Beat’s thrilling new songwriting style is captured on the album’s opener, “Dunce.” Based on a two-note bass line, a kick-snare rhythm, and a distorted vocal sample, “Dunce” is a dark, gritty cocktail that feels much bigger than the sum of its parts, a feeling the band once struggled to conjure. “Riddles” is a huge evolution for the band. Following 2014’s “Party Jail” and 2012’s “Jazz Mind,” in which garage-punk inspired songs rarely ventured past the two-and-a-half minute mark, “Riddles” feels like a revelation. From “Seagull,” which adds elements until the song is roaring almost like a post-rock song, to the album’s title track, which is dominated by a bright piano line, “Riddles” is filled with surprises at every turn. The origin of the band is based around live shows Ed Schrader used to play in Baltimore, in which he would perform unaccompanied by anything other than a drum. The band’s sound has filled out since those early days, but the punk ethos of putting on a show to remember with a stripped-down lineup persists. You don’t want to miss the performance of one of 2018’s most gripping and unexpected albums. Jumpstart your weekend with this electrifying show, and grab your tickets to see Future Islands here. Show preview by Jake Ramirez.